Exactly a week ago, I was taking a plane to Langkawi for a wedding. 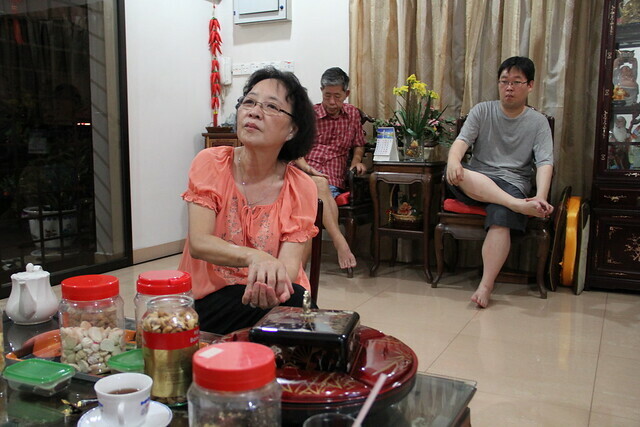 A few hours before I flew off, I paid my respects to Auntie Tan, a dear family friend who passed away the night before. While I was flying I wrote a post to remember her. I am writing this while I’m flying to Langkawi for a wedding. It’s one of those pleasant flights where I’m fortunate enough to have an entire row for myself. Too bad the flight is so short. Right now, I want to write about a very dear family friend who had just passed away yesterday. All these years, I’ve called her “Auntie Tan”. A great friend of my mom’s, a person our entire family had been very fond of. This morning before going to the aiport, I went to her house to pay my last respects. That was the least I could do. I was going to miss her funeral for a wedding, it almost felt like a dark cosmic twist. “Always cheerful, always smiling and always laughing, this is how I will always remember you. Thank you.” I said in my heart as I stood before her coffin. I first met her when I was 15, it was a trip to Hong Kong. It was a momentous Buddhist occasion. A bone fragment of the Buddha was being venerated and exhibited in public. Coming along with my family were two of my mother’s friends, one was Auntie Jennifer, the other was Auntie Tan. I knew Auntie Jennifer before that because her son is a friend from high school (while her other son would later marry my cousin :D ) our connections are quite deep, apparently. We learnt that she had cancer a few weeks ago. Since then I have visited her a few times. She remained in good spirits, telling me about a niece of hers that she really wanted me to meet because she's studying performance art. Also reminded me that I can just treat her like my own mom. There’s not more I can say, but also a memory I have of Auntie Tan. It's a memory of a personal loss. 14th of July, 2012. My grandmother died. We rushed to Ipoh, and spent the entire night chanting mantra. My uncles and aunts, my cousins, we were all awake the whole night to give my grandmother a proper send-off. One of the most unexplainable things about my grandmother’s passing is that I couldn't seem to cry at all. Despite how close I was to her since I was a child. The tears flowed freely from those around me, yet my eyes were so, so dry. From learning news of her death to the funeral to the burial. It baffled me. Was I so numb? But my memory is inaccurate, just like the above paragraph. Some brief moments tend to linger longer than others. On the morning of 15th of July, as the earliest light of the sun lit up the sky, we started making preparations for grandma’s funeral. In the midst of this, the first two people to arrive, who drove more than 2 hours to Ipoh, were Auntie Jennifer and Auntie Tan. When I saw them standing in front of the gate, looking for my mom, I cried then.